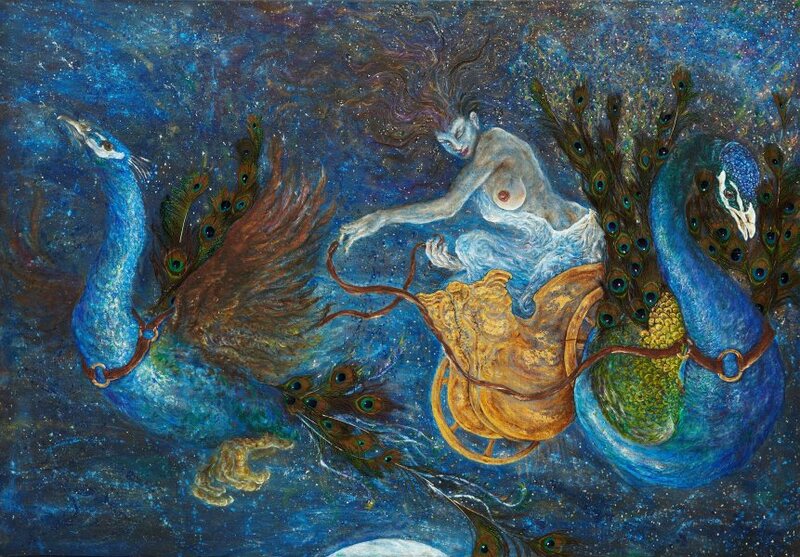 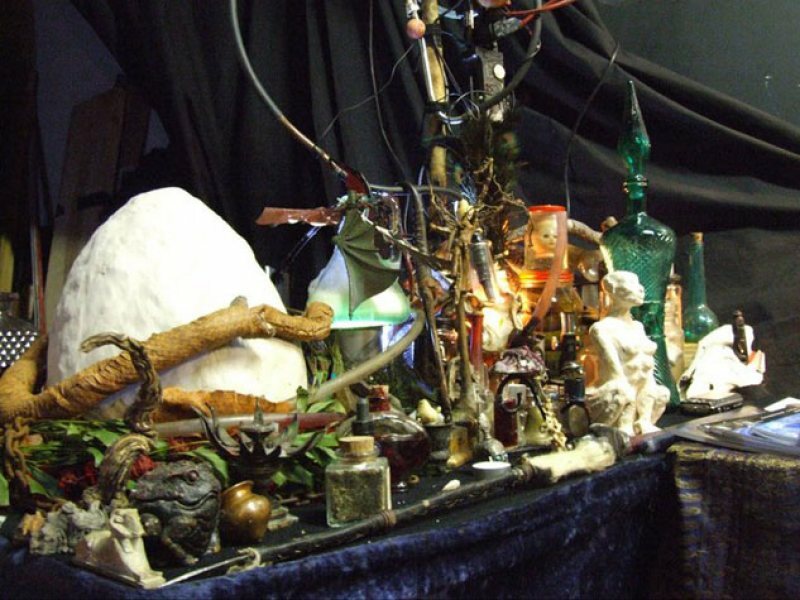 Orryelle Defenestrate-Bascule is an Australian artist, sculptor, writer and performer, who is much influenced by esotericism, magic, Eastern mythology and alchemy. 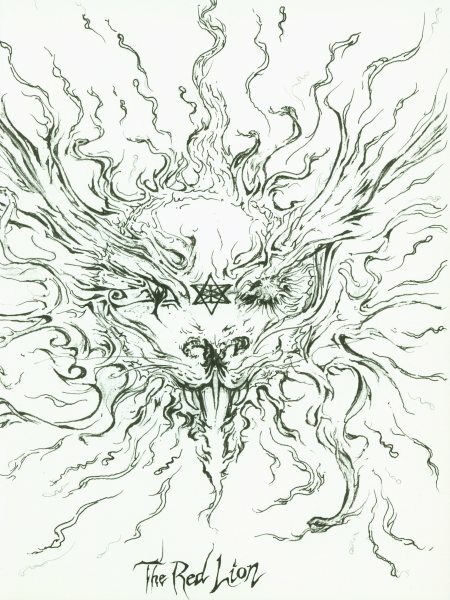 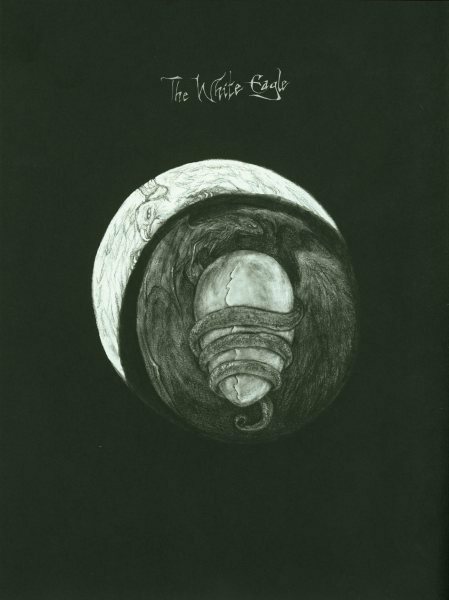 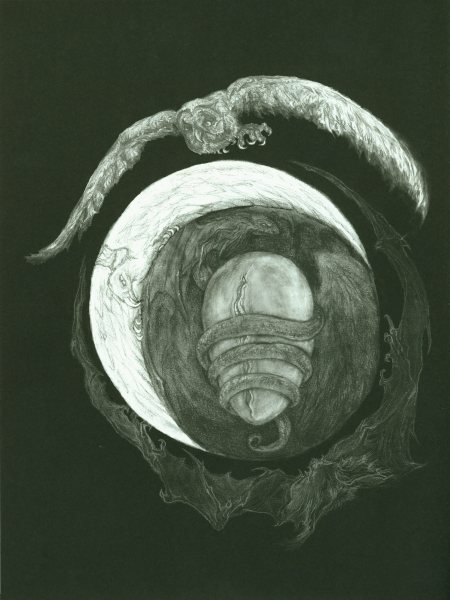 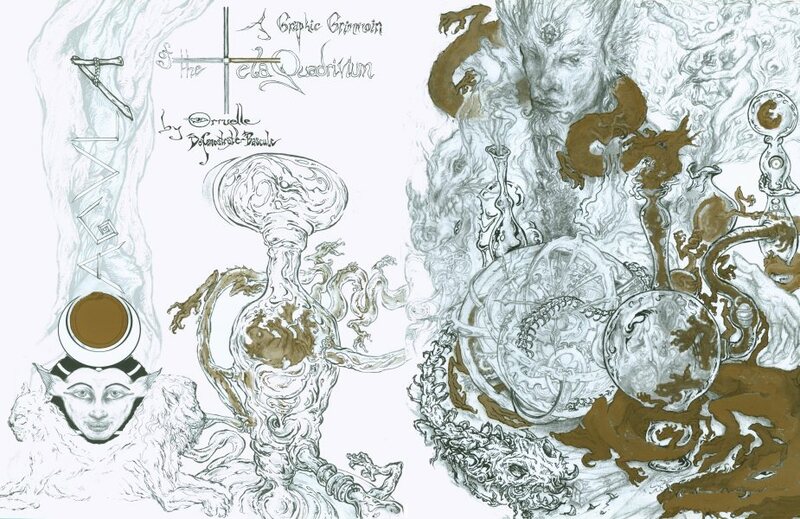 His alchemical artwork can primarily be found in a series of four lavishly illustrated volumes Conjunctio 2008, Coagula 2011, Solve 2012 and Distillatio 2015 (published by Fulgur Limited in the UK), and some other drawings can be found in Silkmilk, a journal of esoteric art which he edited from 2003 to 2010. 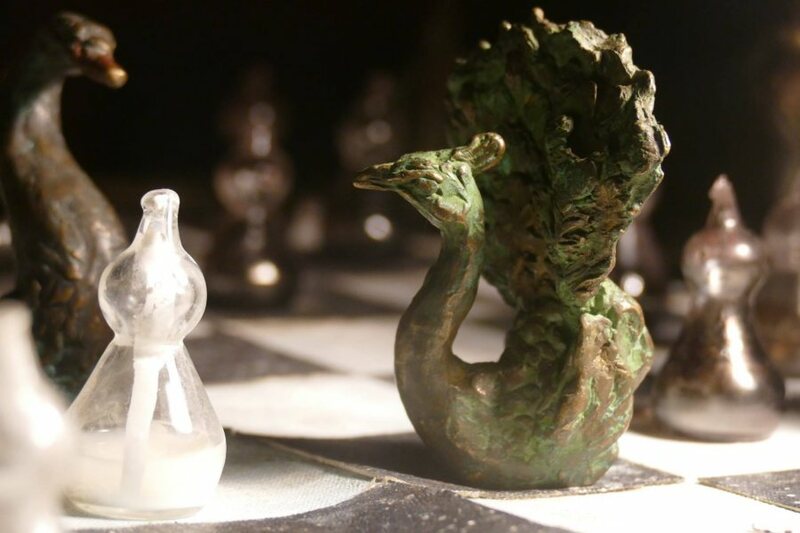 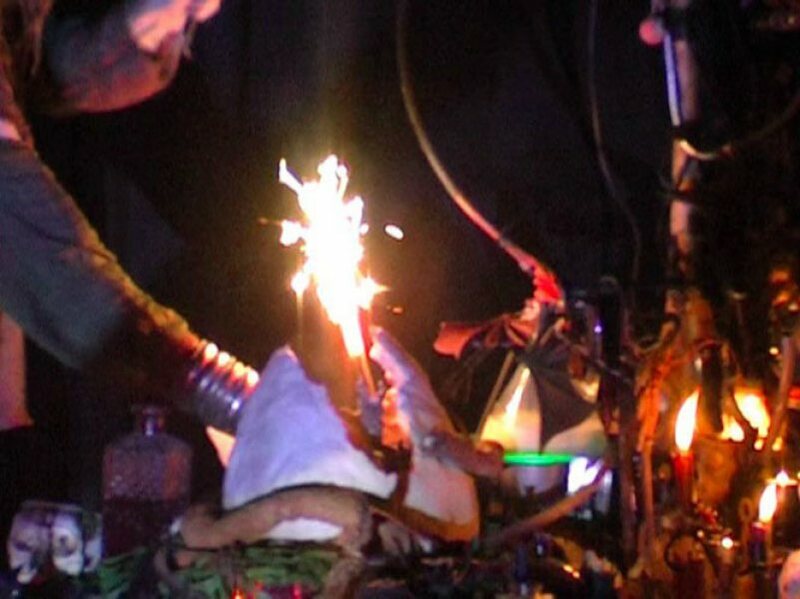 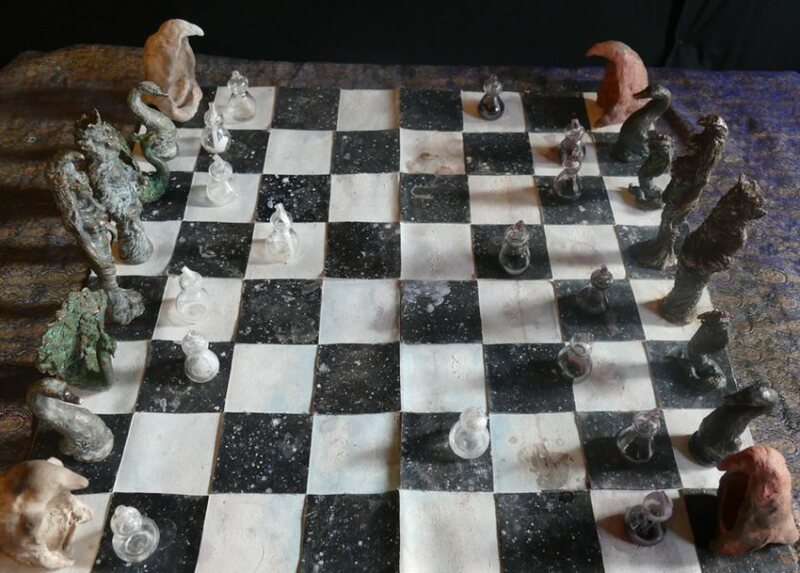 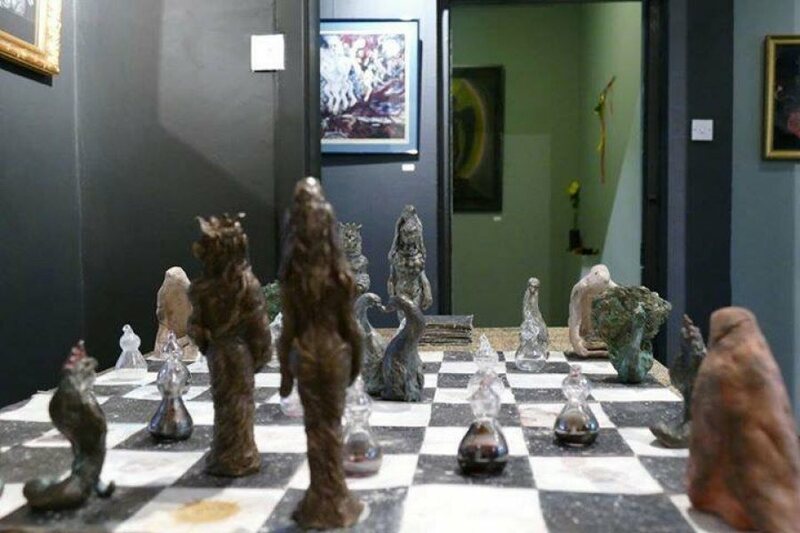 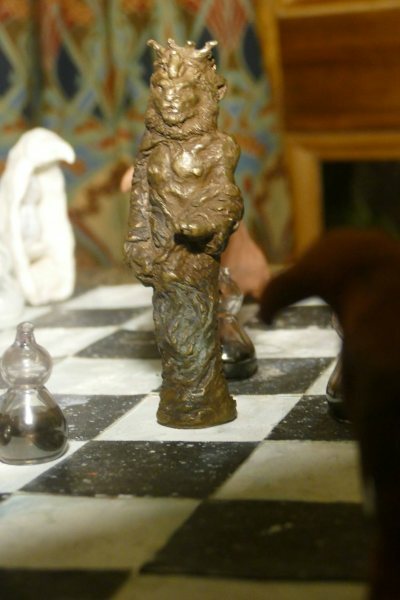 He has also created an alchemical chess set and uses alchemical imagery and installations in the various ritual shamanistic theatre productions he organises. 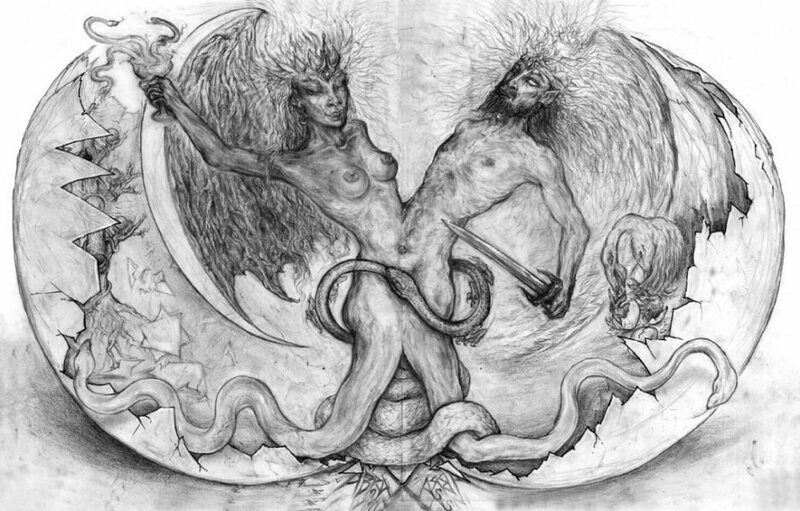 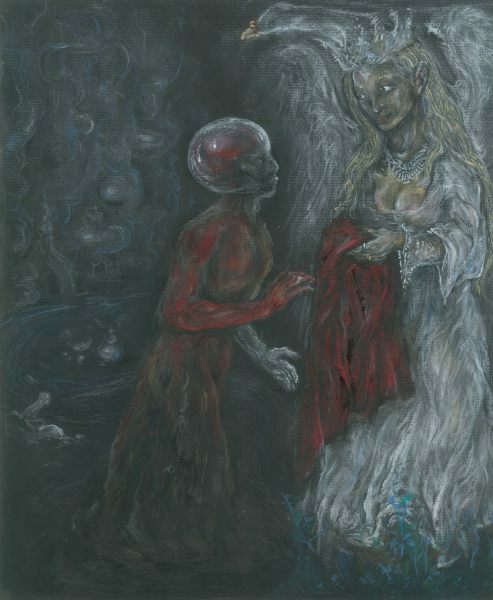 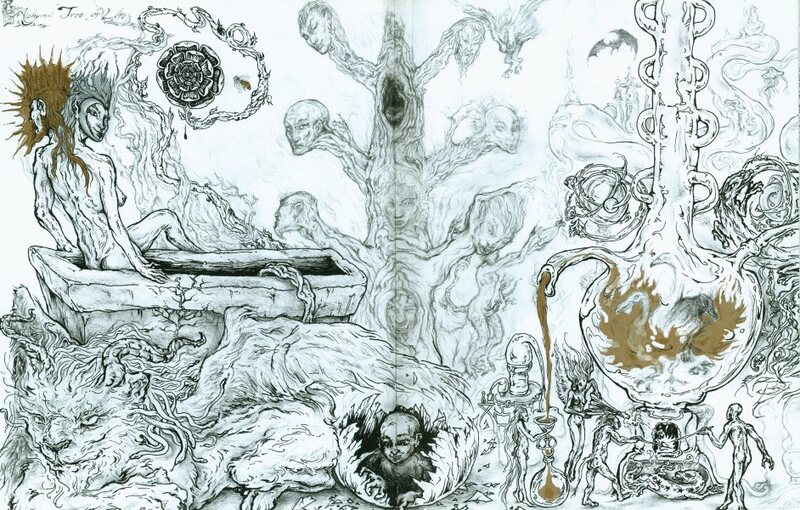 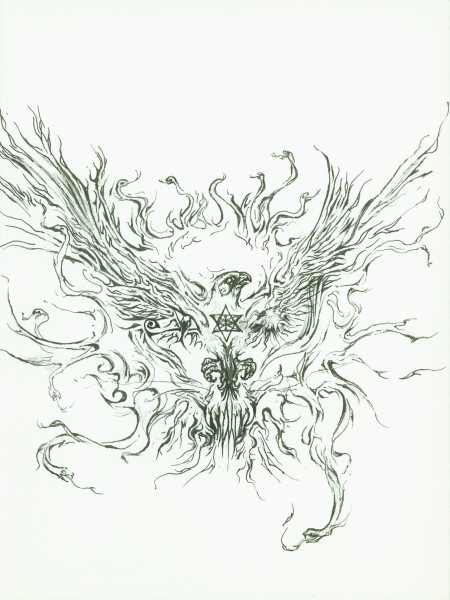 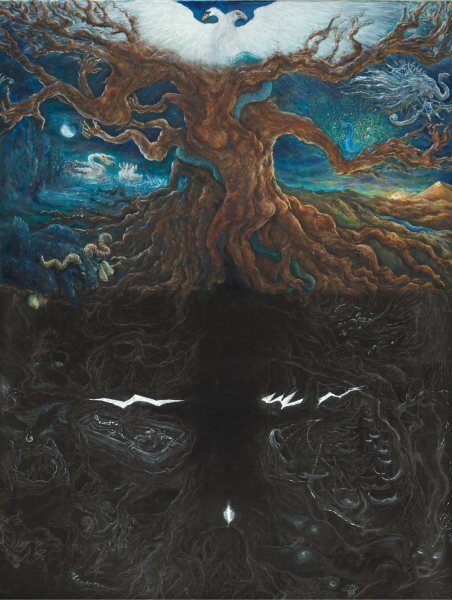 His skill at drawing is very obvious and he infuses his drawings with very powerful and engaging imagery, derived from his deep grasp of mythological and occult ideas. 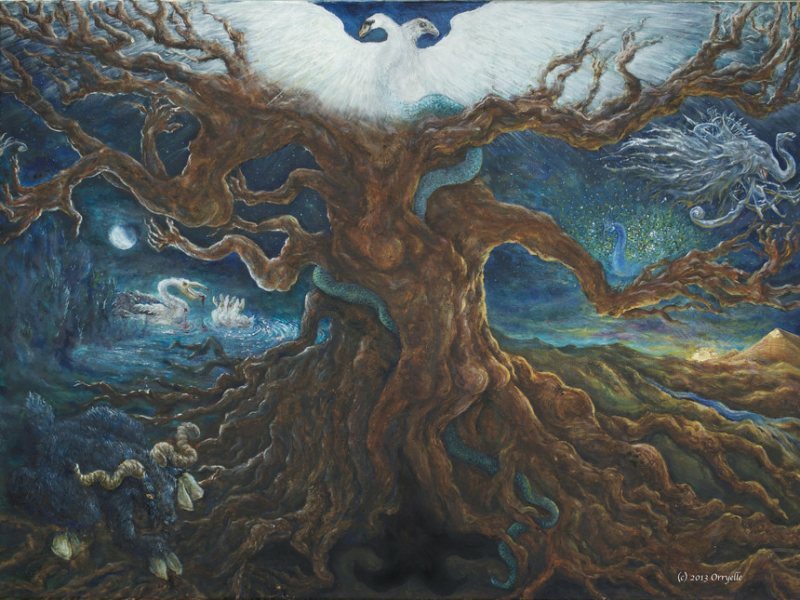 There is usually a narrative and underlying set of ideas to his artworks, and in some cases he articulates this using poetry and text. 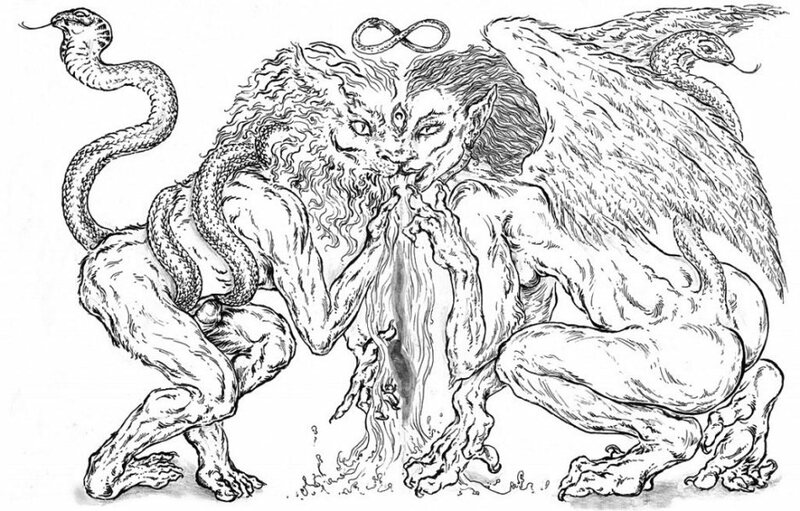 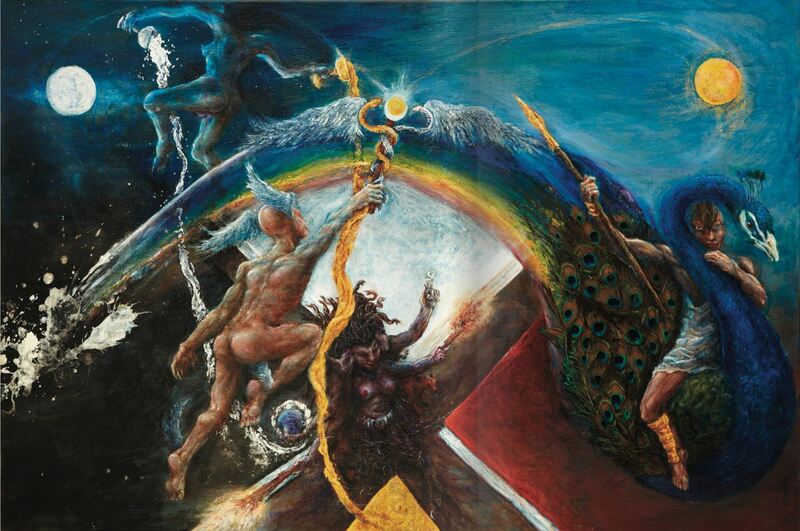 He is clearly one of the most significant artists in the early 21st century working with surreal and occult imagery and extending this into his own particular graphic language.